Pulling your head and eyes off the baseball is a big hitting mistake, especially for youth players. 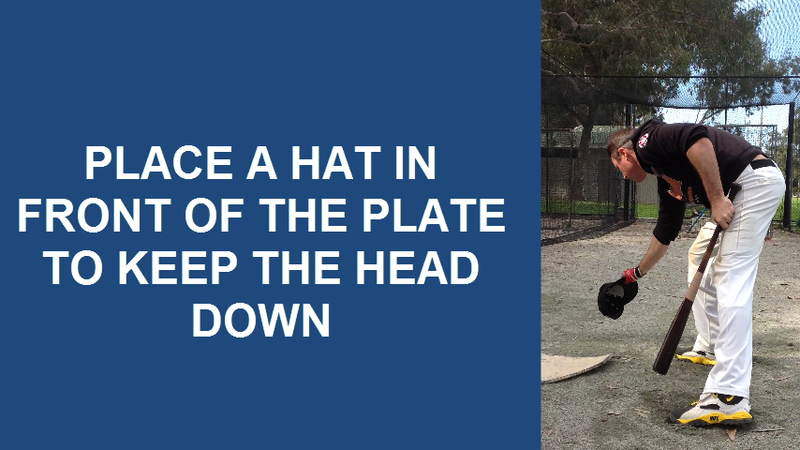 The Hat Drill provides a simple solution to keeping your eye on the ball. 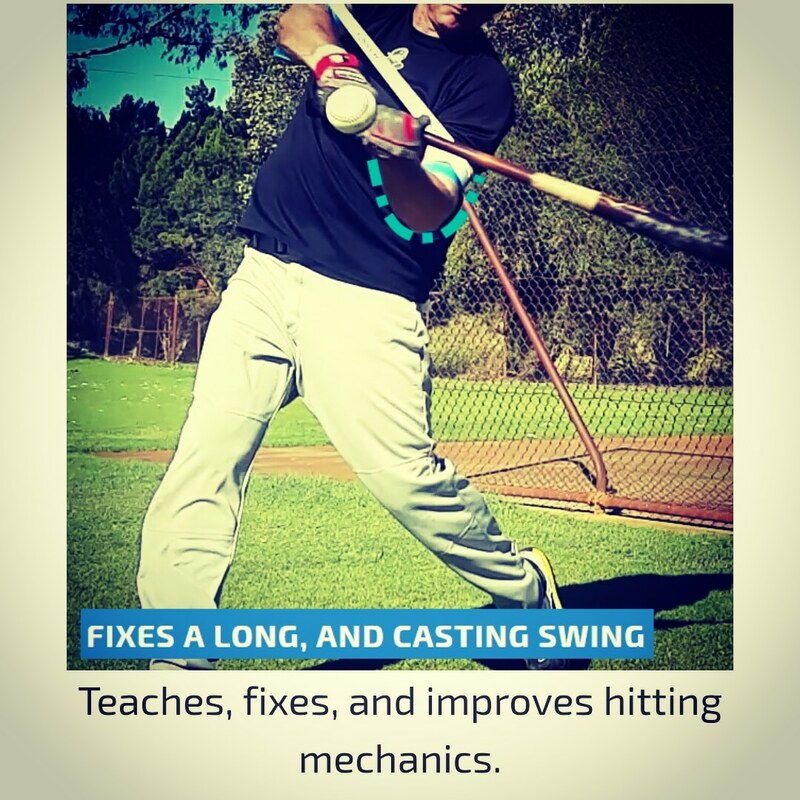 Our Hat Drill can be used alongside most other hitting drills, including; tee, toss or regular batting practice. Place the hat about 1-to-2 feet in from of home page, you can use any attention grabbing object, in this instance we are using a hat. 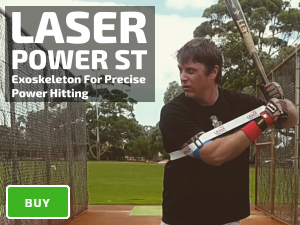 Aim hit the ball to the opposite field this helps to keep your shoulder closed. 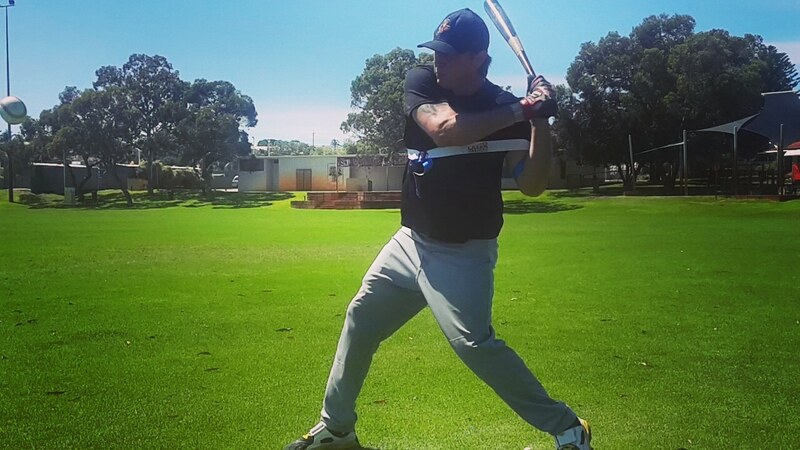 At the point of contact your head and eyes should be pointing in the general area of the hat (make sure your watching the ball all the way onto your bat). *Important! Keep your head and eyes pointing in the general area of the hat on your follow through. As hitters we spend a lot of time training the body to swing, however in a lot of cases the eyes are left to their own devices. The eyes should be focused on the game in general, especially on the pitch sequence the opposing pitcher and catcher are using. Eyes are focused on the pitcher’s timing and speed to home plate. Eyes are focused on the situation — Are there runners on base? How is the field positioning? The eyes should be focused on picking up signals if there is a runner on. Then focused on a focal point such as the label of the bat. The eyes have a soft focus on general direction the pitcher. Soft focus shifts to hard focus on the small window where the pitcher is expected to release the baseball. Hard focus shifts to super focus, where the subconscious takes over as the hitter tracks the baseball in the air. If in the rare occasion a hitter is “In the zone” this is where the ball appears to be in slow motion. Similar to what people experience in a car accident, where everything happens in slow motion. The eyes are focused in the area where the hitter anticipates to make contact with the baseball. The eyes continue to remain in the direction of where contact is made – if the eyes are looking toward the direction of the baseball field at the point of contact, this indicates the hitter is pulling off the baseball. The head remains down in the hitting zone for as long as possible as the eyes track the baseball in the field. The eyes pick up first base and the first base coach as the hitter runs down the line.